Custom Home Youtube Channels List. The Best Custom Home Youtube Channels in our index using search and social metrics. Subscribe to these youtubers because they are actively working to educate, inspire, and empower their audience with frequent updates and high-quality videos. About Youtuber For Home Renovations & Custom Home Builds in Vancouver, The My House Design/Build Team are your renovation and custom home professionals. We are committed to doing our part in leading our industry towards environmentally conscious "Green" practices & making a difference in our communities. About Youtuber We're sharing how-to videos and ideas for your next custom home. We are family owned with 5,000 satisfied homeowners in 49 states and Canada. About Youtuber Stanley Martin Custom Homes is a wholly-owned subsidiary of Stanley Martin Homes. Before we pick up a hammer or saw, we pick up a pen and paper and listen carefully to what you want in a home. We discuss your family, your needs, and the way you live. We figure out what features are most important and determine the best fit for your budget and location. About Youtuber Welcome to America's Home Place, the nation's leading On-Your-Lot Custom Home Builder. Our company has been helping customers build quality, custom homes. It offers quality, custom built homes, built one board at a time, on your land, at affordable prices. About Youtuber Our mission statement is simple: Produce. Our company strongly believes in honesty, integrity, transparency, and responsibility. It's easy to find companies and individuals who look to benefit from others rather than to be the source of benefit themselves. We look to be that source of benefit to our clients by producing a quality service, a simple process, and an excellent product. About Youtuber Keystone Custom Homes is Central PA's leading new home builder. We build in communities that are perfectly located throughout Central and South Eastern PA and Northeastern MD, exactly where you want to be. About Youtuber Adair Homes is the Pacific Northwest's largest and most experienced builder of affordable custom homes. With 14 locations to serve you, we build the new home you want, where you want it. Our exclusive customization process opens up endless possibilities to afford the dream home you've always wanted. About Youtuber American Classic Homes is a local, Washington based, family business that has built hundreds of new homes in communities all across the greater Seattle area including Renton, Sammamish, Mercer Island, and the Eastside. Our signature custom homes include Mercer Island, Queen Anne panoramic views, and dozens of others across King County. About Youtuber Lifestyle Custom Homes is a premier multi-faceted real estate development company specializing in low-rise real estate development opportunities throughout the GTA. About Youtuber We are the luxury custom home builders in Toronto. We pride ourselves on providing outstanding customer care that include one-on-one consultations from the beginning to the end of the construction process. Your today's dream is tomorrow's new home, building a custom home is a team work of management and sub trades. About Youtuber Follow the life and work of builder brothers Erik and Jaime, contractors and custom home builders in Western North Carolina. Following in the footsteps of their father, who is an architect and builder, they have been designing and constructing one of a kind homes together for 20 years. On this channel you will find informational and spoof videos on in-progress construction, family adventures, time laps, and video tours on some of the finished projects. About Youtuber Hibbs Homes, LLC is a custom home builder in the greater St. Louis area. We specialize in new construction, but have extensive experience in large renovations and additions. Many of our projects are verified Green and Energy Star rated. Kim Hibbs is Certified Green Professional through the National Association of Home Builders. About Youtuber Gialluisi designs and builds prestigious custom homes throughout Westfield, New Jersey and surrounding counties. About Youtuber This channel features custom home-bulding videos in Calgary. About Youtuber Weston Dean Custom Homes, is a family owned and operated custom home builder in the San Antonio and surrounding areas. About Youtuber Welcome to Stadler Custom Homes, San Antonio's foremost custom homebuilder. We pride ourselves on delivering the highest level of quality and workmanship in the Texas Hill Country. About Youtuber Lowell Custom Homes offers finest quality custom home-building and design. Our structures are a testament to individuality. Careful evaluations of individual requests, attention to site and architecture and a range of globally-sourced materials are used to develop and build every Lowell home. About Youtuber Southwest Homes is a custom home builder that specializes in a creating a design plan that will result in your own unique dream home! About Youtuber Cresmark Custom Homes brings together the most dynamic team of professionals to design and build your new custom home! 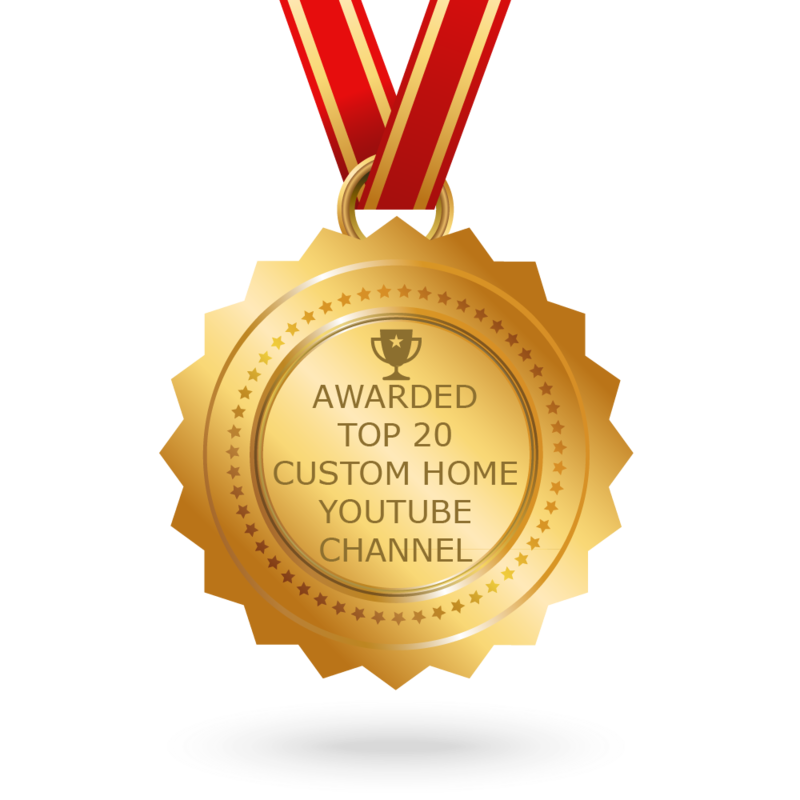 CONGRATULATIONS to every youtuber that has made this Top Custom Home Youtube Channels list! This is the most comprehensive list of best Custom Home Youtube Channels on the internet and I’m honoured to have you as part of this! I personally give you a high-five and want to thank you for your contribution to this world.